Elaine Hollifield McBryar, 75, of Chattanooga died on Wednesday, January 17, 2018 at her home. 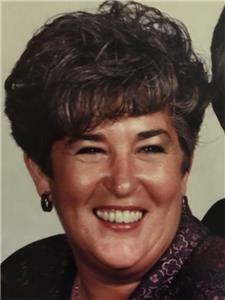 She was a longtime resident of North Georgia and Chattanooga and was a 1960 graduate of Lakeview High School where she served as a cheerleader. Survivors are her husband, Ronald McBryar; daughter, Teri (Lindy) Cope Henley, Hixson; son, Jerry Cope, Chattanooga; daughter, Paige McBryar, Atlanta; brother, Jerry (Jane) Hollifield, Chickamauga; three grandchildren, Korey, Katie and Lauren Henley; and the apple of her eye, her great-grandchild, Saylor Elizabeth Johnson. There will be a private family funeral service held for Mrs. McBryar. The family will receive friends Saturday from 11 a.m. until 1 p.m. at Heritage Funeral Home, 7454 E. Brainerd Road.